Hourglass coffee maker are being raved about in many articles and videos online, so based on that, we know this is a good coffee maker. Question is, what is so good about it. 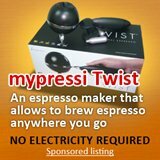 Many sites would tell you how much easier this brewer is compared to espresso coffee machine. 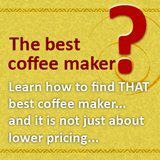 While it is a fact that this cold brew coffee maker is easier to use then even a programmable drip coffee maker, it has nothing to do with health. Now, hourglass coffee maker offers you a thing that other brewers would not be able to achieve, whether it is the famous cuisinart coffee maker, the durable zojirushi coffee maker or even coffee maker delonghi produces (which is one of my favorite brewer). That is low acid coffee. One of the thing that prevents people from drinking too much coffee is its acidity. People with weak stomach are advised to avoid coffee. 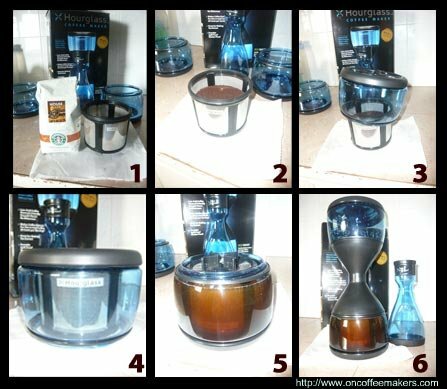 Hourglass coffee maker by brewing coffee without heat, would produce coffee that is lesser in acidity. And this is of course the first reason why you should get this cold brew coffee maker. Other than being low in acidity, this brewer also produces coffee that is low in caffeine. 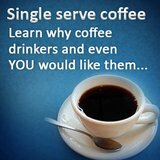 This is another reason why people are advised to avoid coffee -disturb sleep cycle. With this cold brew coffee system that is low in caffeine, one can have coffee anytime without worrying about disrupting their sleep cycle. Why bother to wait for 12 hours, why not just purchased some low acid coffee, or cold brew concentrate? Well, the reason is cost. It can cost at least 50% more and in the long run, it would hurt your pocket badly. These days, lesser costs meant lesser stress, which again is good for health, don't you agree? Of course, if this healthy coffee requires me to devote few hours to learning how to use or spend half an hour brewing it, then it is not worth my time. 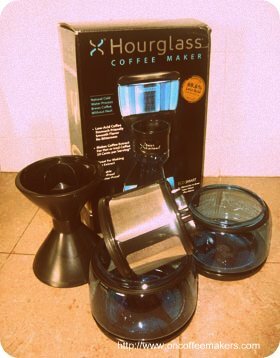 Hourglass coffee maker merely requires you to throw in your favorite coffee ground, pour in the water, some waiting, and you get to enjoy this healthier coffee. Here are 6 steps (shots) in how I use this cold brew coffee maker to make coffee in less than 3 minutes (of course, as in all cold brew coffee, the waiting time is about 12 hours). Step 6: Wait for 12 hours and enjoy some great coffee! 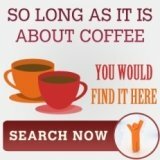 This review about hourglass coffee maker is make possible, thanks to the machine send over by everythingkitchen.com. Do check out their site for any of your kitchen needs, the range is amazing.